Like the First Time revolves around Fulvia, a woman torn between her current life as a single woman and her past life as a wife and mother. On the one hand there is Marco, her latest lover, while on the other there's Silvio, her former husband, who wants to reclaim her as his wife and mother to their now-teenaged daughter. Complicating all this is the daughter's belief that her mother is long dead. Which direction Fulvia's life will take remains uncertain to the play’s very end. The ambivalence of her feelings, reflected in the ambiguity of her actions, makes for riveting drama. 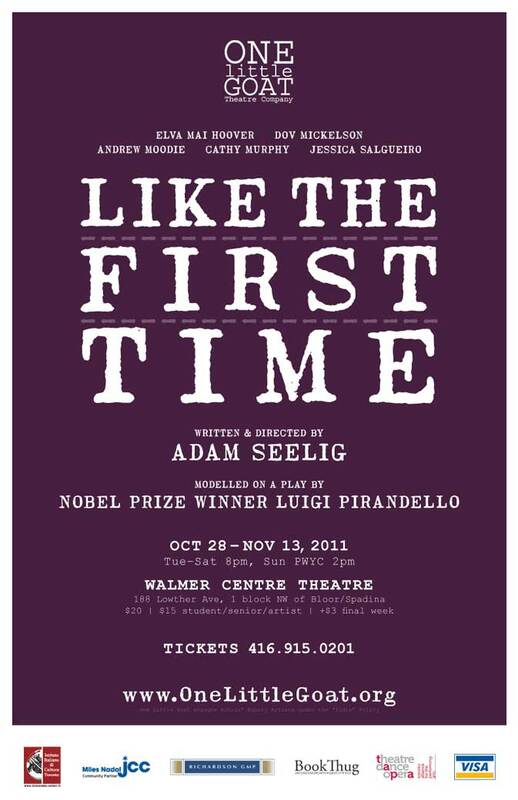 Like the First Time is modelled on Luigi Pirandello’s 1920 play, Come Prima Meglio di Prima (Like Before Better than Before). Winner of the Nobel Prize in 1934, Pirandello (1867-1936) is renowned for breaking down the “fourth wall” and revolutionizing the theatre with Six Characters in Search of an Author (1921). 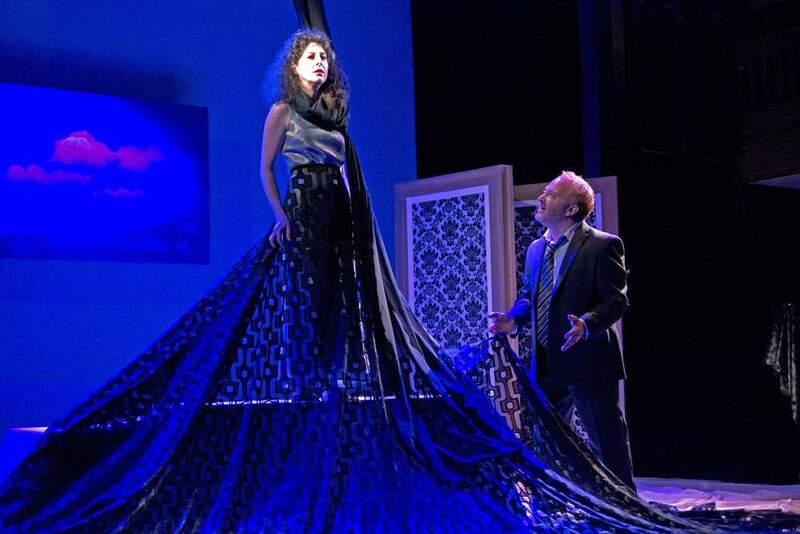 "Pirandello's plays reveal a surprising individuality — ironic, inventive and sometimes fantastical" (New York Times). 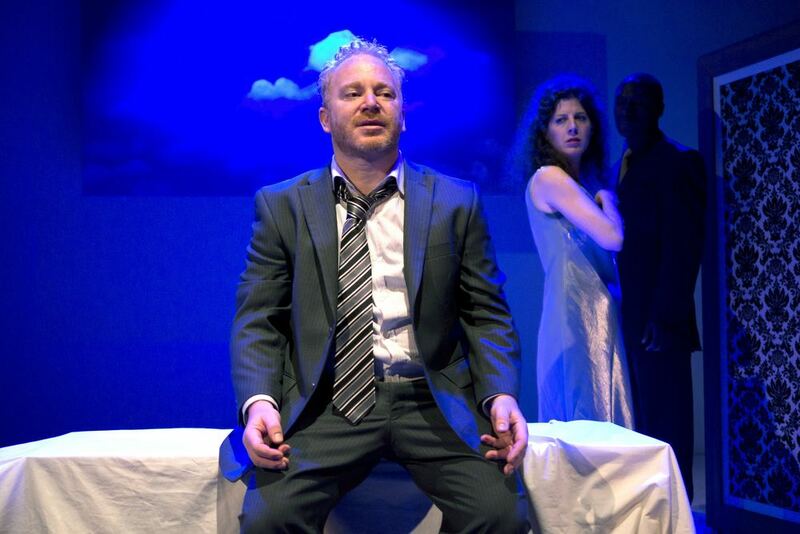 Adam Seelig is a poet, playwright, stage director, and founder of One Little Goat Theatre Company in Toronto. Born and raised in Vancouver, Seelig has also lived in northern California, New York, England and Israel. He is the author of the novella Every Day in the Morning (slow) (New Star Books 2010). His previous plays include All Is Almost Still (New York 2004), Antigone:Insurgency (Toronto 2007) and Talking Masks (Toronto 2009; also published by BookThug). Seelig is the recipient of a Commonwealth Fellowship and a Stanford Golden Grant for his work on Samuel Beckett’s manuscripts.